Clear web-site with a balanced view of PWD diabetes take on living with diabetes and their partners. Could be useful for starting conversations between partners or learning tricks and tips. 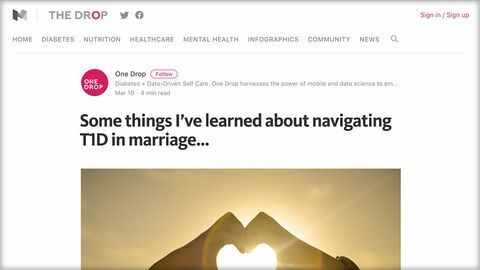 A blog written by a T1 and Diabetes Psychologist about some of the pitfalls he has encountered in managing T1D through marriage. Although they may seem like common sense, it can be useful to have them pointed out and to be reminded of the importance of discussing how you will deal with various situations. They could equally apply to other close relationships including close friendships and parent/child relationships.